Naming Notes Just for lack of where to insert my comment on the length of the 3' overhang: I note that the overhang (CGGTCGGTAA) is actually 10 bp long, but it has been listed as 11 bp on phagesDb. 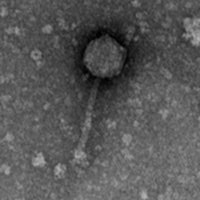 I have not looked closely at this virus's sequence, but I note that its overhang is differing from others in the subcluster which have CGGTCGGTTA. Please crosscheck and reconfirm.